I created this website back in 2012 and in the past 7 years have enjoyed coaching numerous clients from a variety of walks of life. My activity has developed and grown since then and I'm still very much working to empower people to make the changes they wish to see within and around them. I now work mainly in the field of public participation, participatory and deliberative democracy and in the facilitation of these spaces. From time to time I still run Mindfulness sessions and see coaching clients when I have availability. Because whether you are an individual or a group/organisation we all have a natural capacity to grow. As the ancient Chinese philospher, Lao Tsu said: "At the centre of your being, you have the answer, you know who you are and you know what you want." Through coaching you discover you have the innate resources to move through your difficulties and make the changes to realise what you deeply wish for. Then by putting in place systems of accountabilty, together we make sure you act to create what you wish for. As a group facilitator my role is similar, by acting as a mirror a group arrives at a much greater awareness of its own collective issues and aims, making it easier to find ways forward together. 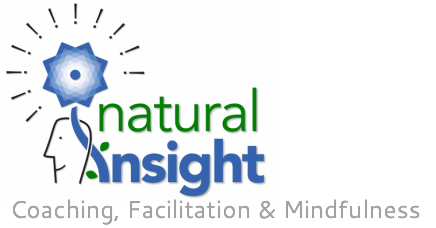 In this approach we build on our own 'Natural Insights' - the eureka moments and breakthroughs that empower us to change.